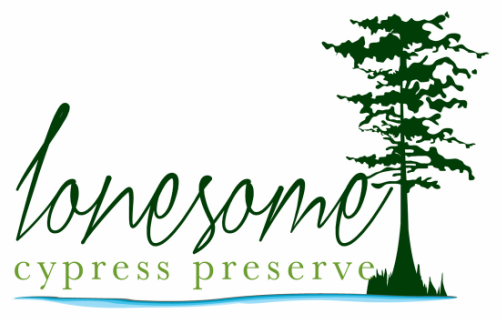 Lonesome Cypress Preserve was created millions of years ago and not much has changed. We are working hard to preserve it that way for the next million years. 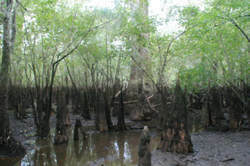 Our preserve contains over 1200 acres with about 300 of these made of the Ocholocknoee ( http://www.talltimbers.org/images/ttlc/OchlockoneeRiver.pdf ) River swamp and the balance in what we call piney woods. One hundred years ago the swamp was full of bald cypress trees. Most of these were cut for their prized timber and floated down the river to the mill, but a few pockets of them were hidden from the crosscut saw and are now lonesome.